Embrace the last of the summer sun and soak up some vitamin D with your legs out in a full denim skirt and take the edge off morning chill with a cosy knit sweater. 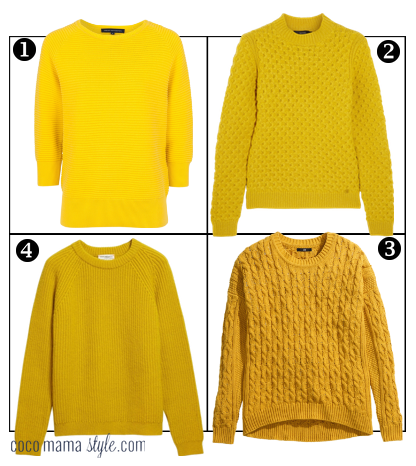 A yellow sweater will brighten up your autumnal wardrobe and see you through the dark winter days into next spring. The bobble-knits of this women’s jumper from New Look (also in green and red) and girl’s cardigan from BHS (also in a gorgeous forest green) add texture to your outfit and the rich ochre works perfectly with denim as well as grey, black or navy. 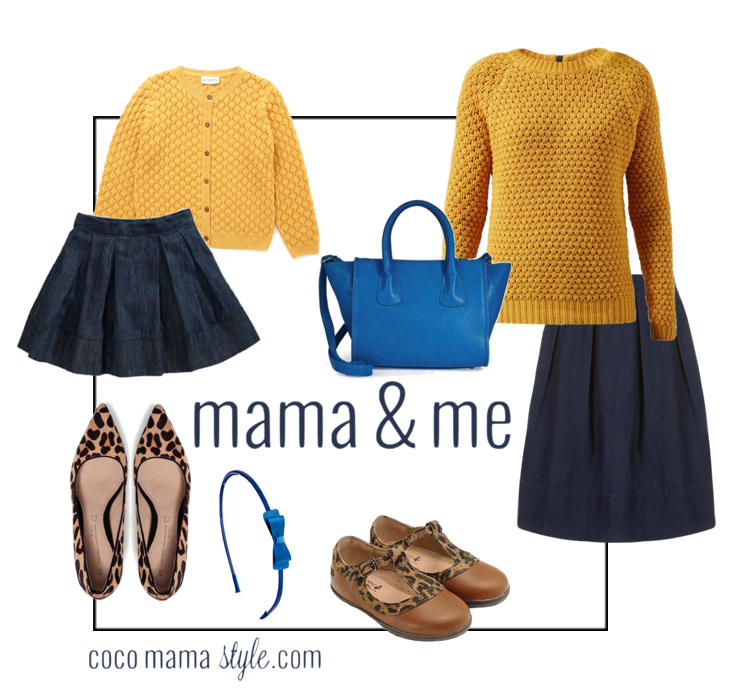 Wear with leopard accessories to introduce a neutral-based print into your look and contrast the yellow with cobalt blue to finish your outfit. Franglaise Mummy recently posted…Should you have one last baby? 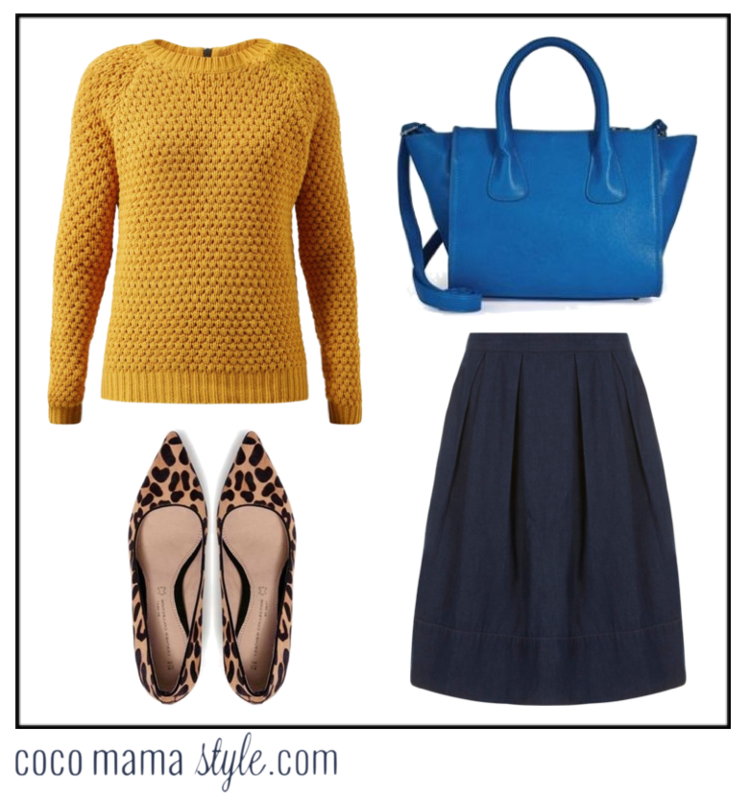 I have got a mustard coloured jumper in my wardrobe already but have never known what to wear it with. 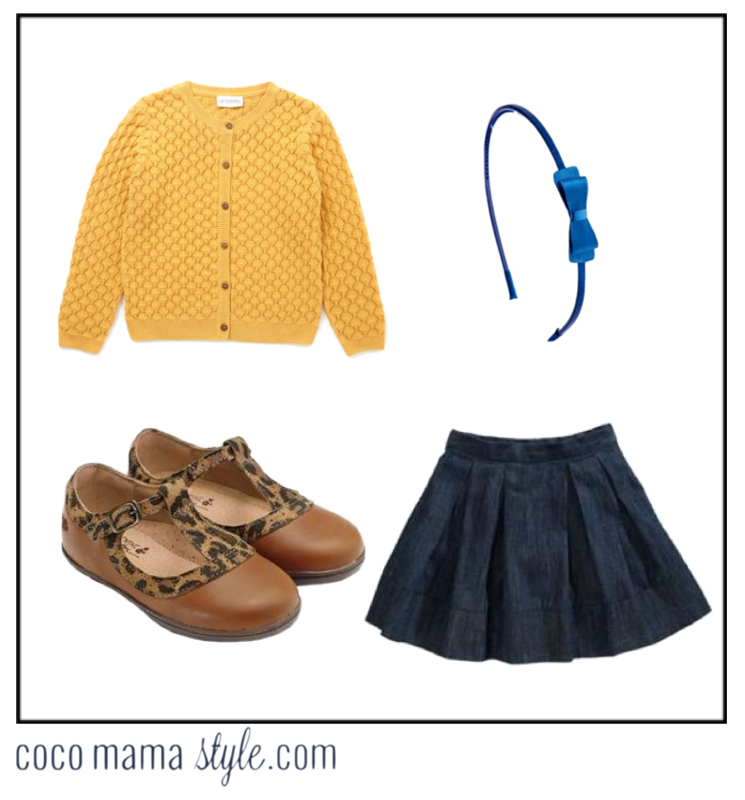 I love the skirt and the leopard print shoes combination. Do you know of anywhere that does these but without the heel?